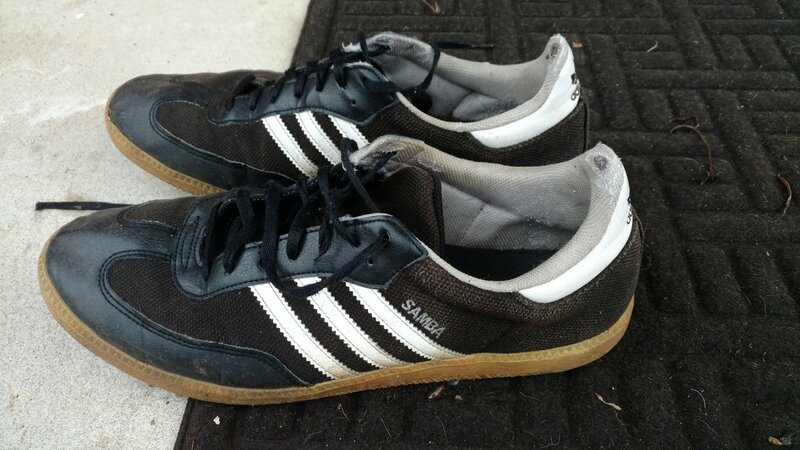 "I'll show you the life of the mind …"
Another pair of Sambas bites the dust. These were the “hemp” styled ones from Journeys. The started falling apart a while ago, became lawn mowing shoes. Left them outside, it snowed, now they’re complete trash.